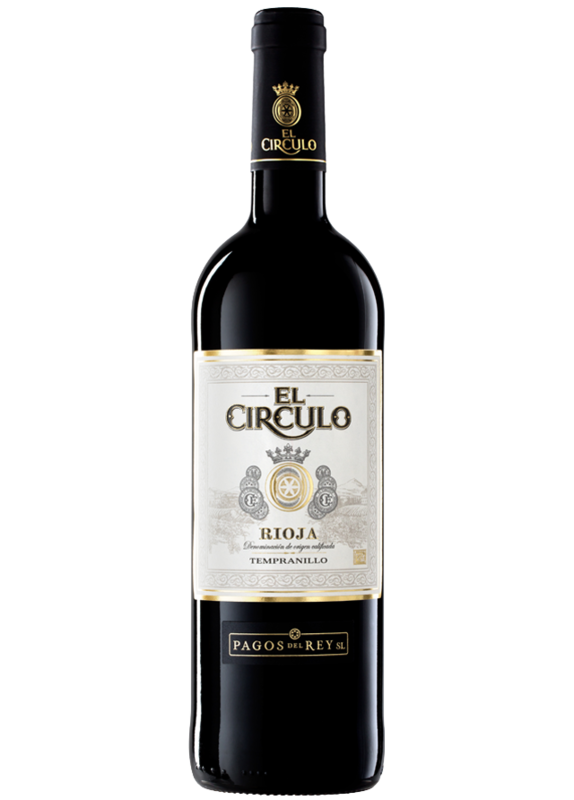 El Círculo is made from selected Tempranillo grapes – the most prestigious variety in La Rioja. This region is affected by the Atlantic climate, which along with our careful wine making, produces a complex, sweet and full bodied wine with floral aromas and blackberry flavours. This is a bright wine with an intense ruby red colour and youthful purple tones. It carries intense aromas of red fruit. Pleasingly fresh, the palate is long, rounded and well balanced. Its finish is long with hints of black berries. A perfect supplement to Caesar salads, pasta, rice or chicken dishes. The grapes are carefully selected and lightly crushed and cooled to allow for a period of maceration (48-72 hours) where the juice and the skins are in contact. Fermentation in stainless steel tanks takes place at controlled temperature between 21-23 °C.